Commerce graduate from Andhra University and a Fellow Member of the Institute of Chartered Accountants of India. 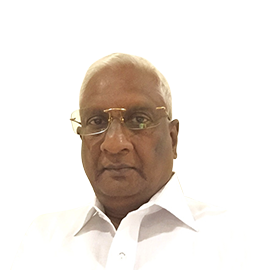 Senior partner of Brahmayya & Co., a leading Chartered Accountancy firm and has been practicing for the last six decades. Has held various coveted posts, which include Membership of the Southern Regional Board of Reserve Bank of India and Federation of Andhra Pradesh Chamber of Commerce and Industry. Is also on the board of several other companies. 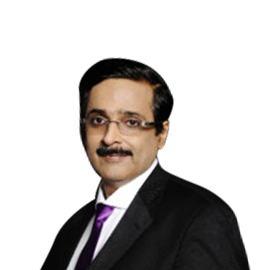 He is the Founder Chairman and Chief Executive Officer of the EXCIGA group. A Director in several public and private companies, he has held several positions including the Founder and President of Entrepreneurs Organization, Hyderabad, President of CII’s (Confederation of Indian Industries) Young Indians, Hyderabad Chapter and a Member on the State Council of CII. 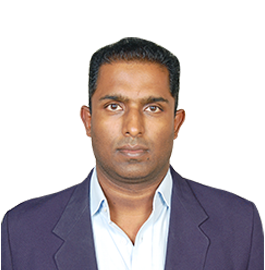 He holds a Bachelor's Degree in Chemical Engineering from Osmania University, Andhra Pradesh. Graduate in Production Engineering from Pune University Engineering College. Started Silver line Wire Products in 1993 as a manufacturer of plastic coated wire products for household applications. In 1998, started marketing under the brand name of Sleek. Currently pursuing the Owner President Management Programme at Harvard University, USA. Is also on the board of several other companies. 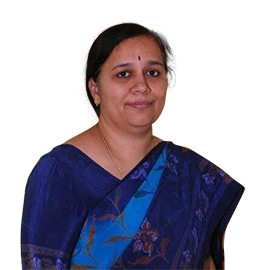 Is a Fellow Member of Institute of Chartered Accountants of India, Bachelor of Commerce from Bombay University and Bachelor of Law from Bombay University and has been practicing as Chartered Accountant since 1991. She has more than 25 years of experience in handling audits of all kinds and has been a consultant for many start-up businesses. M.Com, M.Litt and a PhD. 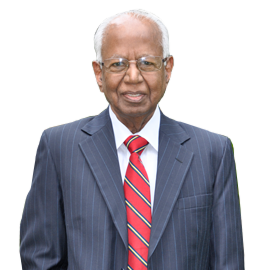 (Financial Management) Began his career from the Administrative Staff College of India, Hyderabad in 1972. Has held various positions in reputable universities such as Professor, Dean, Director, etc., and has taught in the fields of Finance and Business Economics at Post Graduate and Doctorate levels for about 25 years. Has been the Registrar (Administrative Head) of the Dr B R Ambedkar Open University for about 10 years. Has been associated with the company since its inception and has been able to utilize his intimate understanding of the rural socio-economic scenario to strengthen milk procurement systems and strategies of Heritage, all of which has contributed to the current status of Heritage as a leading player in South India. A B.A. Graduate and a Director for several companies. 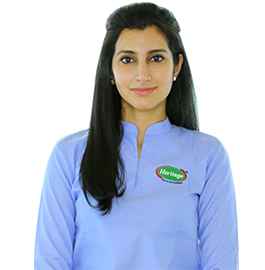 Is a dynamic leader who has extensive experience in business and has been successfully steering Heritage Foods Limited towards growth and better prospects. 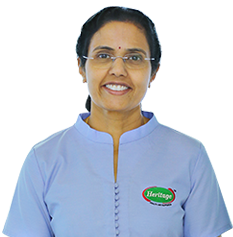 Joined Heritage in 1994 as whole-time Director and is now serving as Vice Chairperson & Managing Director. Is guiding and monitoring the overall workflow of the organization. Holds a Master's in Business Administration from Stanford University, Bachelor’s in Electrical Engineering from Santa Clara University, California, USA and Communication Engineering from Chaitanya Bharathi Institute of Technology, Hyderabad, India. Investment Associate in Vertex Venture Management Pvt Ltd between 2009-2011 in Singapore. Joined Heritage in 2011 as Vice President Business Development and is now serving as Executive Director. Takes care of such vital functions as design, development and implementation of strategic plans for the organization in a cost-effective and time-efficient manner.